My name is Naima and I’m a 2nd year BSc Biomedical Science student at Cardiff Met. I first came across Go Wales when I saw their information stand at the Cardiff School of Management. Megan who was running the stand was very approachable, and she talked to me about the programme. I had been looking for Work Experience for a long time, so I jumped at the chance. I completed their eligibility checker, which was quick, and was then paired with Nina, my Go Wales Adviser. Initially I was interested in becoming a pharmacist and Nina started searching for a hospital placement and a placement as a military pharmacist. It was proving really difficult to find the role I was looking for, but Nina was determined! After Christmas I told Nina that after further research I had decided that pharmacy was not for me after all, and that I wanted to learn more about the role of Physician Associate (PA). Nina got to work on this new career track and followed up several leads. Eventually this led to my placement in Montgomery Medical Practice. 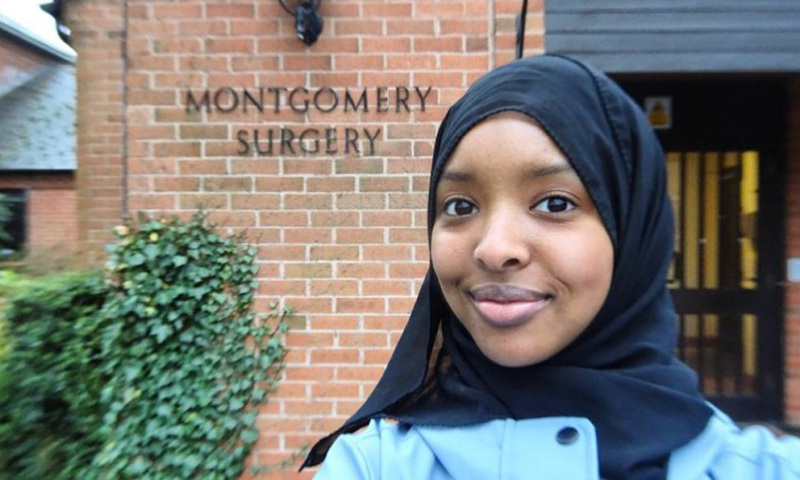 The work experience was an opportunity to observe a Physician Associate working in general practice. On my first day I attended home visits and observed appointments in clinic. I was so interested to see how the Physician Associate examines their patients, takes medical histories and reviews examinations and tests. On the second day my placement host was teaching students on the Physician Associate postgrad course at Stafford Hospital. I was able to observe a meeting of postgrad PAs in a workshop discussing their challenging clinical cases. It was so interesting for me to see the variety of the cases that they were discussing. I was pleased to get work experience with a Physician Associate, as there are only 300 PAs working in England and Wales. This experience will help my application for the postgrad PA course, as I now have directly related experience. I got advice from PA graduates about the application process and what to look for in a postgrad course. I have also been invited to join a Physician Associate facebook group, so the work experience really expanded my professional network. I really benefitted from the mentoring offered by my Go Wales Adviser, Nina. She was supportive and constructive when I changed my career direction, and she was able to generate contacts and organise work experience far quicker than I would have been able to on my own. As a result of my work experience, I really believe my future applications will stand out from the crowd. I have returned from work experience full of enthusiasm for my chosen career path, full of determination to complete my degree and move on to the next step!